It’s uncanny how I can feel him before he walks into the room. My heart lurches and my pulse quickens. Then, I see him. The center of attention, hugging the ladies, shaking hands with and giving slaps on the back to the men. Everyone wants to touch him…to have him turn his golden-brown eyes and flashing smile their direction. I wait. He will eventually see me. I will get my turn to touch the golden one. His entourage follows in a flurry. They all know their jobs. It’s been practiced and honed over the years. The short man with long hair and eagle eyes stays close to him, ever watchful. As if anyone would want to hurt this gorgeous being. Not in a million years. Not in this crowd. He’s making his way around the room. Flashing his pearly white smile, hugging, kissing and posing. Then in front of me, there she is. The perfect specimen of a woman. Beautiful blonde hair falling around her slim shoulders, the perfect body, and perfect poise. Her spun silk tunic, rare jewels draped around her neck, and soft leather sandals leave no doubt she is a woman with money accustomed to the finest things it can buy. He sees her. Everyone else is forgotten. It’s all about her. I watch the exchange and feel a gnawing jealousy start to grow. I want to be that woman. I want to be the one that is capturing his attention. A part of me wants to run, but I am glued to my seat. He hugs this beautiful woman and they chat for a minute. Then he turns to make his way to the stage and there I am. “I’m well, Thank you.” I savor the embrace and my breasts tingle and harden against the rough fabric of my tunic. He kisses me on the cheek. “It’s good to see you.” He continues on his way. Outwardly, I smile and nod to the rest of the entourage. What was that one night all about? But, before I ask the question, I know the answer. For me, it was the chance to have this beautiful specimen of a man all to myself for a few hours. I should be ashamed of my shallowness, but I’m not. I should be ashamed of his shallowness, but I’m not. He picks up his Lute and strums. Everything else fades away and the music takes over. He works the crowd like he always does. He smiles and points to individuals in the audience as he is performing. It’s a well-rehearsed show that he’s done hundreds of times. Everyone feels like they are a part of him, happy to bask in his glow. I look around the filled room. All eyes are on the golden god. Women sit slack-mouthed. Men smile and chug their ale. The magical dance of entertainer and audience has begun. Shadows deepen around the stone walls as merriment rises to a crescendo. Every woman grows wet just fantasizing about one moment alone with him. The men wait, knowing their reward awaits…knowing they’ll be the ones to try and fill the ladies’ fantasies at the end of the night. All know their parts to play in the dance. And me? I’m the observer. I can see it all unfold, almost as if watching a play. Disconnected, I sway to the sensual notes that flow from the golden one’s Lute, caught in his spell. My breath hitches in my throat when he flashes a smile in my direction. But in an instant, that breath turns to a choking lump when I realize it isn’t me he’s smiling at. It’s her. I let horrid scenarios form in my mind. I could follow her and kill her. I could push her from a ledge and pretend it was an accident. I want with all of my being to destroy her. I want him with all of my being. It’s never to be, foolish one. You are not worthy. You are not good enough. I feel a tap on my shoulder and glance up to see a handsome young man extending his hand asking for a dance. I smile and stand. Floating across the room in his arms, I watch the golden one. Will he notice? Will he care? “You are the most beautiful woman here tonight,” the handsome young man whispers in my ear. I melt into his strong arms. Perhaps he is an Angel. Perhaps divine intervention has seen fit to soothe my ragged and worn soul, to boost my self-worth. Whatever it is, I will take it. I cast one last glance at the golden one and suddenly I see him for what he is. A frightened insecure man in a beautiful body with that being his only attribute. Now, I’m sad for him, for her, and for all the ladies dreaming of him between their legs. I see it for the emptiness that it is. I’m dancing. Jealousy has flown, and I am beautiful. I am desirable. Thank you, my saving Angel! This is one of the most interesting interviews I’ve done to date, for the Oklahoma Farm and Ranch magazine. So, I thought I’d share it. Since this interview, they have turned this into a film and are entering it at film festivals around the world. “I started writing songs when I was nine-years-old. I was born to write songs, and I’ve known that my whole life,” Becky Hobbs stated in a recent interview. Hobbs was born in Bartlesville, Oklahoma. When she was in high school, she formed the first all-female rock band in Oklahoma, The Four Faces of Eve. She went on to have quite a successful career in country music with many of her songs gaining popularity through her own recordings as well as other artists. But her latest musical project combines her consummate songwriting prowess with a deeply personal and profoundly historic story. Nancy Ward (Nanyehi) is Hobbs’ fifth great-grandmother born around 1738. Hobbs recalls stories passed down through the family. I found this bit of history to be most interesting. Hobbs has extensive knowledge about her beloved Cherokee tribe and is prolific in the language. That act earned Nancy Ward a high status within the tribe. She was honored as War Woman, headed up the Women’s Council to determine the fate of captives and she became Nanyehi – Beloved Woman of the Cherokee. What inspired Hobbs to honor her Fifth Great-Grandmother? Hobbs admitted that around that time, her country music career took off like a bullet and she got so busy that she put the project aside, knowing that someday, she wanted to create something to honor her ancestor’s life. Nick Sweet has been a stage director in Oklahoma and Texas for the past forty years, so he brought a level of expertise to the table that Hobbs needed to move forward with this passionate tribute. One year later in November 2008, Hobbs decided it was time. Within six months, Hobbs wrote the musical, learning it all the hard way. She contacted Nick Sweet and asked him to direct it, and they performed Nanyehi publicly for the first time in 2009. Hobbs shares that the first performance was only herself, her husband, accomplished guitarist, Duane Sciagcua, Nick Sweet and his wife, Peggy. They each read scenes and Hobbs and husband performed songs live. From its humble beginnings, Nanyehi has had eight major productions, been picked up by a major production company in Georgia and now has a cast of approximately twenty people including professional actors and actresses. The songs for Nanyehi are incredibly amazing. From the first, “White Wolf on the Horizon” to the last, “Let There Be Peace,” they tell the entire story from Nancy Ward’s birth to her death, with many adventures in between, including the famed battle of Taliwa where Kingfisher died. Although Hobbs has had many musical accomplishments in her lifetime, she openly admits she is most proud of Nanyehi. It not only took her out of her comfort zone but gave her a medium to educate so many about the Cherokee tribe as well as celebrate Nancy Ward’s fascinating life. Five years ago, I published my first book, Flowers and Stone. I had no idea where the journey would lead me. All I knew was that I had a story to tell. I can’t even begin to list the things that have happened, doors that have opened and people that I’ve met. I was not following one blog five years ago and never imagined I would not only follow lots of amazing blogs but would have one myself. I certainly didn’t belong to an international author’s organization. I literally had no idea what I was doing. Looking back now, I can see that my Angels were hard at work lining up opportunities, putting me with the right people and organizations, and keeping me moving forward when I lacked the energy to do it for myself. And here I sit, five years and five books later with an active blog following, a solid fan-base, so many reviews from all over the globe and a wonderful website. And that’s just touching the tip of the iceberg. I have been a very busy woman. So, now with all of that done, I ask myself, where do I go from here? Sure, I’ve published six short stories and that was truly fun! And, I write for two magazines and thoroughly enjoy that, but after writing such big novels, I feel as if I am sloughing off. Does anyone ever feel like that after completing a big project that drives you? That may hold no significance to anyone but myself, but I awoke knowing the profoundness of the dream. I have written a fiction novel – in fact, I finished it last year and started pitching it to publishers. I’ve had no takers yet. I ‘ve also written the first chapter of the second book in the series, but I feel as if I am constantly spinning my wheels and going nowhere. Thanks for letting me share. Happy Anniversary to Flowers and Stone! We all have filters that affect the way we view different people, situations, and circumstances in life. And, when the Universe sends me a message in multiple forms, I take it as a sign that it is something I need to pay attention to. And that is the case with the title of today’s blog. Our physical eyes are very related to our conditioned or filtered thoughts. You’ve heard the saying, “Seeing is believing.” But this is actually totally inaccurate. Instead, scientists have discovered that ‘Believing is seeing.” We only see what we believe we are seeing. Our conditioned thoughts filter and re-arrange what we see to fit our beliefs. So if we want to see the world as it is, we can’t rely on our physical senses. They are much too distorted by our conditioned beliefs. Instead, we can learn to see through our heart. We can learn to see the world through feeling. This morning on Annette Rochelle Aben’s Attitude of Gratitude blog, I found the same message about looking through the eyes of the heart, and how different things appear. So, I felt compelled to pass along that thought. I recently found myself in a social situation where there was this perfect woman. She had the perfect body, blonde hair, straight shiny white teeth, fashionable clothes, the latest trendy shoes, and she exuded money and social perfection. As any other woman would do, I felt intimidated and small next to her. I don’t know about you, but I hate that feeling of inadequacy. I know it goes back to my childhood and being an outcast in school because of the religion forced on me, but I fight it with every ounce of my being. As soon as I could do so with appearing obvious, I slipped away and went home. Did I feel down? Heck, yes. Should I have? Heck, NO! Because at the end of the day, our physical appearance is not the reality of who and what we are. The physical body will disintegrate into dust (or ashes in my case) and what remains is the heart and soul of the person. I don’t know this woman on a personal level. I only judged her through my mind’s eye, not from my heart. So, even though this powerful message was for me, since I am compelled to share it, I am to believe it may be for someone else as well. We know who and what we are on the inside. And, when our earthly journey ends, that is what will remain. Perspective is everything. Try looking through the eyes of the heart for just one day and see what a difference it makes. Big Hugs and thank you for taking the time to read this message. I hope it inspires one person today! I originally wrote this as a song, but never got it recorded. Think old Tammy Wynette style when you read it. I MET A MAN ON THE STREET JUST THIS MORNING. I STOPPED AND DROPPED A COIN IN THE CUP BESIDE HIS KNEE. HE SAID, “HUNGER WILL MAKE A MAN DO FOOLISH THINGS. I ONCE HAD A WIFE, A HOME A FAMILY. ENOUGH WAS NEVER GOOD ENOUGH FOR ME. I WANTED FAME AND FORTUNE – THOUGHT IT WOULD SET ME FREE. HUNGER WILL MAKE A MAN DO FOOLISH THINGS. HE’LL TRADE HIS SOUL TO GRAB THE BRASS RING. JUST TO TOUCH THE RICH MAN’S GOLD. THEN, FIND HIMSELF BROKEN ALONE AND OLD. SHE SAT SILENT, ALONE WITH TEARDROPS FALLING. DIM LIGHTS OF THE BARROOM HID HER FACE. I ORDERED HER A DRINK, HER SORROW TO ERASE. SHE SAID, “I DON’T BELONG HERE IN THIS PLACE. HUNGER WILL MAKE A GIRL DO FOOLISH THINGS. I ONCE HAD A HOME, A MAN THAT TRUSTED. HE GAVE ME ALL THE STABLE THINGS IN LIFE. SHE’LL TRADE HER PRIDE FOR A ONE NIGHT FLING. AND IN THE END, HER WORLD IS LEFT IN SHREDS. HUNGER SURE CAN MAKE FOLKS DO FOOLISH THINGS. I hope you enjoyed this poem/song. If you’d like to hear other songs I’ve written, they are on the CD, “I’ll Be Home When the Roses Bloom Again.” I’d be honored! The first instrument I learned to play – a Gitjo. Rick took a Banjo and put a guitar neck on it. 🙂 I was very young. 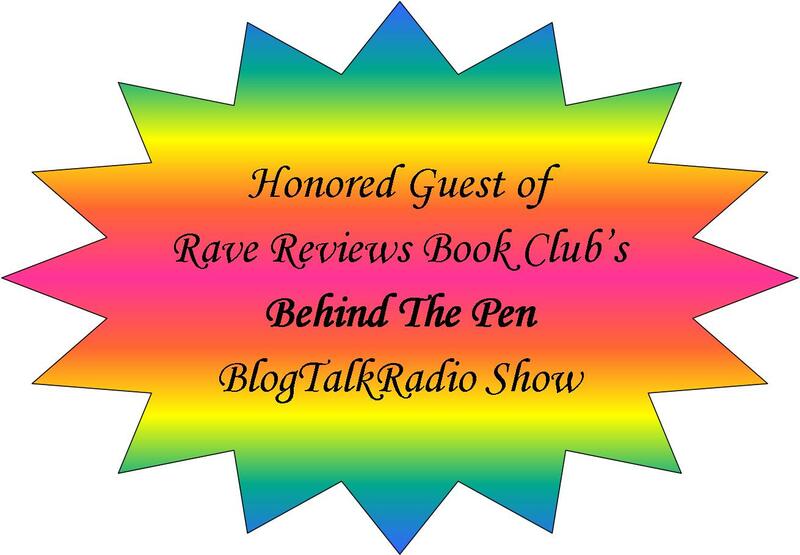 This is the third year for the RAVE REVIEWS BOOK CLUB Writers’ Conference & Book Expo and it keeps getting bigger and better! There are SO many reasons to attend this conference and NO reason to not attend. This is a virtual conference. So, that means that you can log in and attend the workshop sessions at your leisure, heck even in your pajamas if you want. 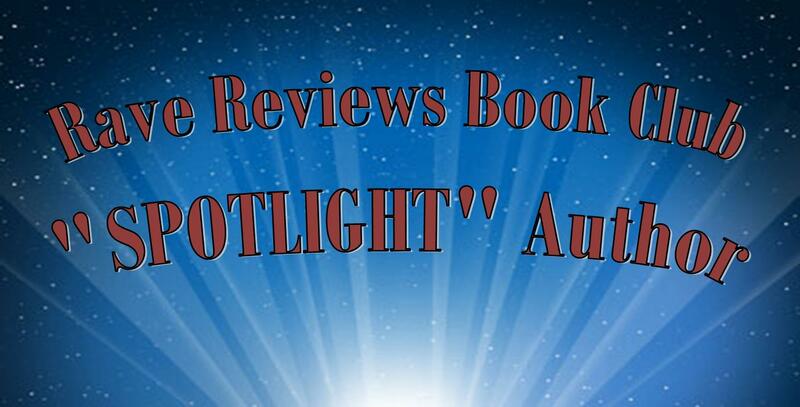 You can visit the Author Booths, compete for prizes and have fun while you are learning. But, time is running out! JULY 15TH is the absolutely LAST day to register as these LOW prices! Take a look. If you are a beginning writer or a seasoned author, there are workshops that will benefit you. This crazy business of writing is one of constant learning and growing. Don’t be left behind! It doesn’t matter how strong you are, how resilient you are or how determined you are, there are times when you need an arm around your shoulders or a pat on the back. My subject today is just that…lending support to others. Many think they are in competition with others, whether it be authors or music artists. But, the whole truth of the matter is that we are all in this together and when we realize that and offer a helping hand to another, the Universe automatically responds. It is an unspoken and invisible law. That is not to say your motivation for supporting someone else should be for a reward. In fact, quite the opposite. When you give freely of your time, your space, your words and your energy with no expectations of a return is when you absolutely get the most. Here’s a good example. My late husband and I had an antique and collectibles store in the small town of Coleman, Tx. The opportunity arose for us to purchase the property across the street, so we did. Then, we rented the building to a lady and her mother who wanted to put in another antique and collectibles store. Everyone thought we were crazy. Why would we want competition right across the street? Because we knew that if there was more than one store for folks to browse through, they’d more likely make the drive from the bigger cities to an out-of-the-way place. And it worked. That was a lesson in support and networking that I never forgot. I spend a good deal of my blogging time and space supporting other authors and music artists. And, I enjoy it. I love helping spread the word about a new book release, or a new music CD. I like to post reviews for books that capture my attention. Sharing new discoveries with everyone who follows my blog makes my heart sing. I find a lot of this same support within the blogging community and I want to take this opportunity to say thank you! Also, I belong to an organization of authors who offers support on so many different levels. 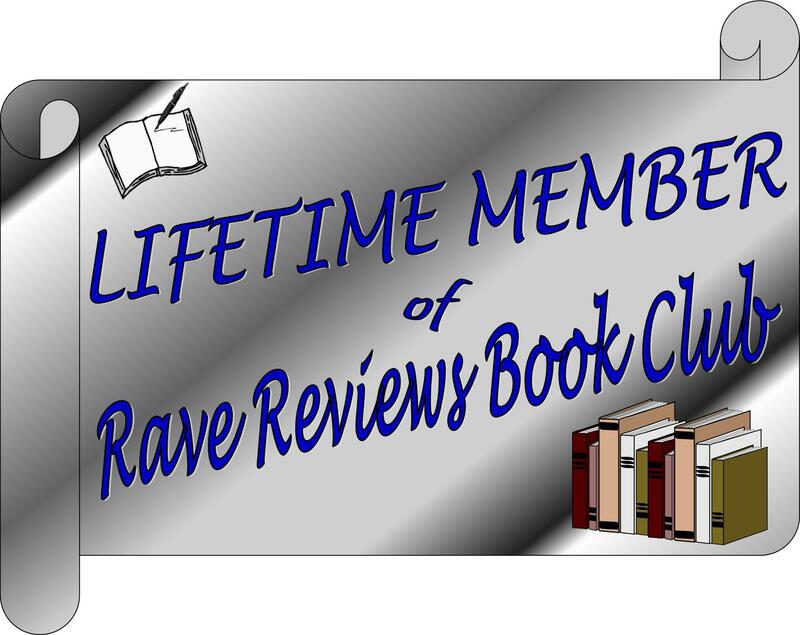 The RAVE REVIEWS BOOK CLUB not only helps spread the word about you and your books but becomes more like family and lifts you up through difficult times such illness or deaths. I have never found an organization quite like this one. Lasting friendships have formed around the globe and many members of this book club have read and reviewed my books. I can’t remember who first told me about this organization, but to whoever it was, I am forever grateful. If you are looking for a kind of uplifting support you can’t get anywhere else, I suggest you take a peek. If you think it is a fit for you, join us! 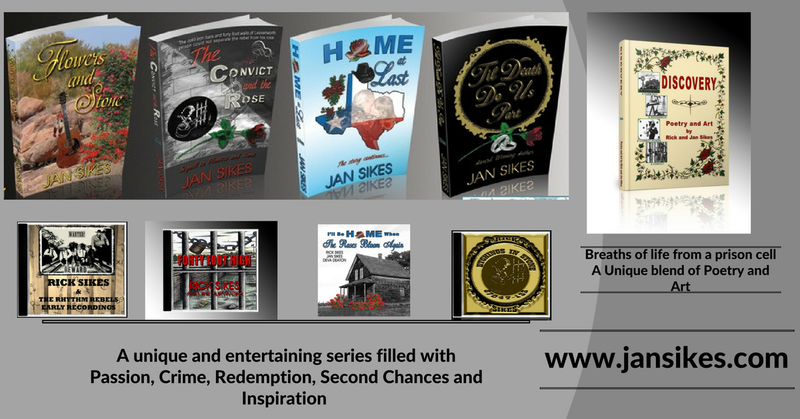 I’d be thrilled to help support you and your books. Songwriters are more often than not, hidden in the background. It’s the artists who turn the songs into hits. Then, we associate the song with the artist, not the songwriter. I have a great friend, Sonny Throckmorton, who has had over twenty number one songs and well over 1,000 recorded by artists. He is a member of the Songwriter’s Hall of Fame and has been awarded Songwriter of the Year by both BMI and the Nashville Songwriter’s Association International. But, only a handful of people know the name. And last, but certainly not least nor anywhere near the end of the list, “I Wish I Was Eighteen Again,” made famous by George Burns. I say all of this to introduce you to a new album released by Sonny Throckmorton. I wanted you to know the calibre of songwriter I am promoting. A NEW KIND OF HIGH is different from anything Sonny has ever done. It verges on country-funk with catchy lyrics and thought-provoking phrases. While “Next” is more reminiscent of bluegrass on steroids, it is again, quite a different twist for Sonny. “Party Man” is more like the old Sonny Throckmorton style waltz with a twinge of loneliness thrown in. Willie Nelson included “Butterfly” on his album, God’s Problem Child. Its slow easy flow is beautiful and the lyrics go deep. Full-on-country, “Wasting a Fire” is a two-stepping unrequited love song. “Look What I Missed,” ramps up the countrified gospel funk to a new kind of high. A soft flowing melody accompanies “Little Miss Out of the Blue.” I could hear someone with a smooth voice like the late Ray Price singing this and turning it into another hit for Sonny. I think it’s safe to say that Sonny Throckmorton, even at the age of 77, isn’t anywhere close to being done. I hope I’ve piqued your curiosity enough that you’ll take a look at Sonny’s new release. Who knows. Maybe one day, we’ll hear some of these songs on the radio and soaring up the charts again for this talented phenomenal songwriter. Me and Sonny Throckmorton in May 2009. Thankfully, that wasn’t the case for me this time with the RRBC 90-day Alpha/Omega Beginning-to-End short story challenge. I listen to a lot of music and my favorite songs are the ones that tell a story such as “Loving County,” written by Charlie Robison and Jack Ingram. So, when I accepted this challenge, I knew I wanted to write a short story based loosely on this song. The second story in TWO SHORTS AND A SNORT IS “MAGGIE.” Be careful what you wish for because you just might get it. Then the SNORT is a poem. Yes, I know it wasn’t part of the challenge, but it was just there, so I went with it. I designed the cover for TWO SHORTS AND A SNORT. I’m not a cover-designer, so this was another challenge unto itself. Then I had another challenge and that was trying to format this little twenty-one-page book. I spent hours and days trying to get it right because again, I am not a formatter. But, I eventually got it all done and even went a step farther and created a book trailer video to accompany it. So, if you are inclined to read some very short short stories, I’d be honored if you’d pick up a copy of the book today. It’s only 99 cents on Amazon. And if you are curious about the RAVE REVIEWS BOOK CLUB and the many opportunities like this they offer, take a look! It could just be the right community of supportive authors for you.